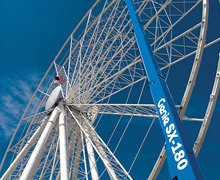 The first Genie® SX-180 boom lift sold and delivered into Australasia was purchased by Rich Rigging, owned and operated by Murray Rich. 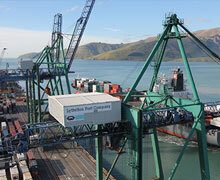 Rich Rigging, a New Zealand based company, is an acknowledged expert in the assembly, erection, disassembly, relocation and maintenance of ship-to-shore gantry cranes. 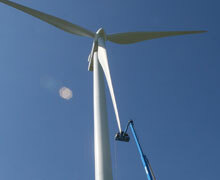 New lifts help maintenance crew rise to the occasion in turbine blade retrofit.